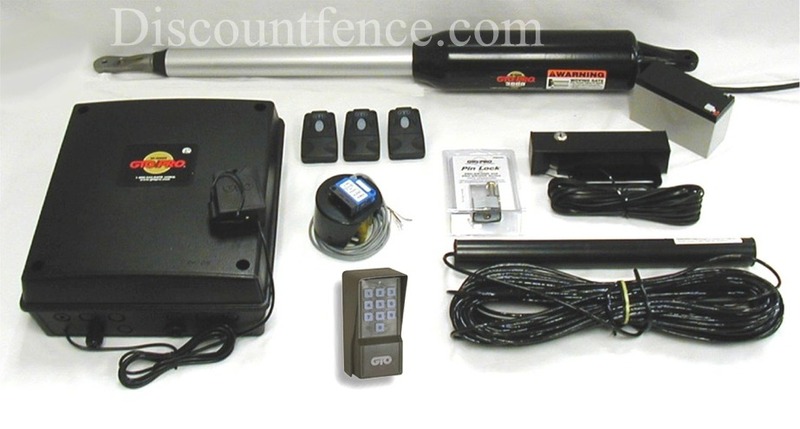 Discount Fence Supply, Inc. brings you the first Automatic Gate Operator Package. We put together a package of everything you need to install your Automatic Gate Operator. Single GTO/PRO Automatic Gate Opener will worl on gate 16' and up to 650lbs.The GTO/PRO Package SW3000XLPS includes everything in the picture bellow. Full systems capable heavy-duty control board includes adjustable obstruction sensing, gate sequencing and auto close settings (0-120 seconds). UL rated for Class I, II, III & IV. System certified to be in compliance with UL325, 5th edition.